Happy Sunday! I have a few things worth sharing with you; exciting launches, a lovely vegan-friendly subscription box, and a few slightly less exciting things I still want to share because sometimes I try products that leave me a bit disappointed too. Odacite + Moon Juice collabo. Since the announcement was made, this collaboration caused quite a bit of excitement on social media. You may already know Odacité skincare which I have featured a few times already, while Moon Juice has recently become very popular, especially for their plant-based, nutrient-rich supplements, called dusts (spoiler: I am currently using the Beauty Dust*). The collaboration gave birth to a private collection called Claire De Lune*, (not sure if the name was inspired by the beautiful Debussy composition), which includes two products, a mist and a serum. The Revitalizing Mist contains aloe and rose, while the Radiance Serum contains Wild Carrot Seed Oil, Camellia Seed Oil (=green tea, so I am very excited about that! ), and Peach Oil. I have only used it for a couple of days, so after longer use I will definitely share my experience with you. So far I am really liking the serum. You can check it out here. Vegan-friendly subscription box. This month Petit Vour turned two years old and they gifted me with their monthly box, which was my first time receiving it. 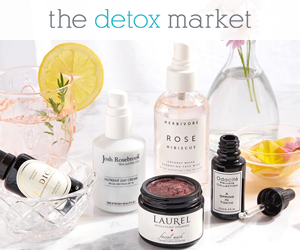 Not only do I love the concept of subscription boxes because they give us the chance to try products before purchasing a full-size, but I love Petit Vour’s selection, their mission to bring together the best of cruelty-free beauty brands, and I love that they are very engaged in social media looking for new things to add to the box. Their selection includes some of my favorites: Mun, Kahina, Gressa, Red Apple Lipstick, One Love Organics, Lina Hanson, Suntegrity, and more. 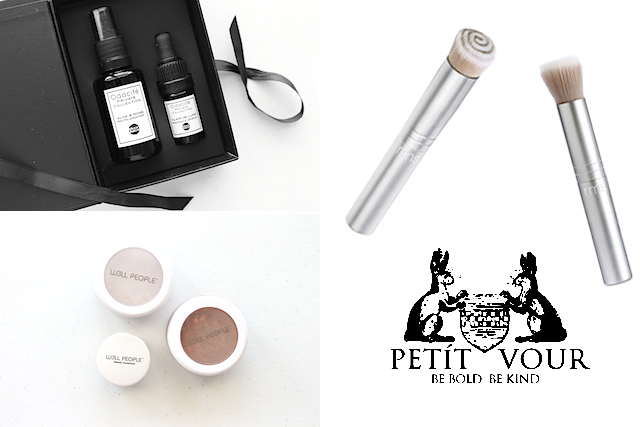 I have never subscribed to a box before, but I actually plan on doing it with Petit Vour because of the great brands they work with and because I can discover new little gems through it. This week I will review the box I received and give you more details about the subscription service, but in the meanwhile if you are curious you can check it out here. Treat Collection Nail Polish, a little warning. I wanted to share a little word of caution about Treat Collection nail polish if you plan to purchase them online. The nail polish itself is great and has become one of my favorite brands because the formula is very good, the colors are unique and elegant, the brush is thick and easy to use, they dry quickly, and the longevity is excellent. However, after purchasing a bunch of them on Amazon, I realized that the colors often do not look very much like the bottle images found online. Therefore I highly recommend that you search for nail swatches before buying, in order to prevent disappointment. Personally, I have so many nail polishes that I only buy specific colors I want, so I do get disappointed when the color looks different from what I see online. So thumbs up for Treat Collection nail polish, but thumbs down for the shopping difficulties (which can apply to any nail polish purchase). I hope that they will add helpful nail swatches to their image gallery in the future. W3LL People haul first impressions. I just wanted to quickly share my first impressions about the W3LL People products that I showed you in the previous catch-up. Surprisingly, the Bio-Brightener powder is good at mattifying the skin, and is not as brightening as I expected it to be. Since it contains mica I was afraid that it would be a little too “brightening”, or should I say sparkly, but it is not. So far, I like it to set my foundation, however, the one I received smells funny. Not sure if I received a bad one (W3LL People makeup usually smells very good), but I can’t stand its smell. It smells “old”, in a bad way. Has anyone else tried it? If so, how does yours smell? 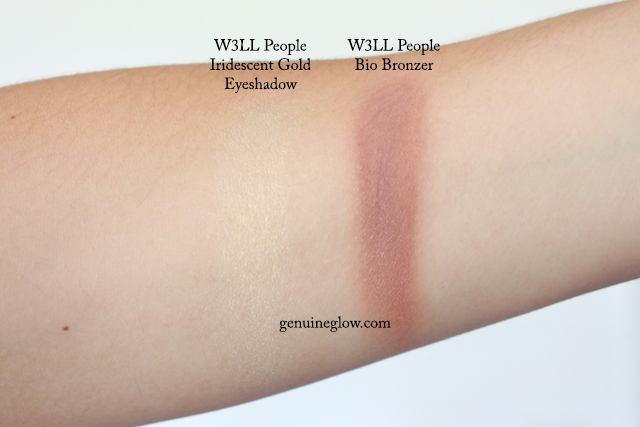 The Bio Bronzer (which instead smells great) is very nice, however, it has a red tone to it. Professional makeup artists usually recommend bronzers with a red tone to achieve a “naturally tanned” look, as red tones mimic the real color of a tan. In one of her videos, Lisa Eldridge recommends red-toned bronzers for deeper skin tones. However, I prefer bronzers with a more golden tone, simply because they sit well against my skin tone. I also found it a bit too dark for me, but I plan to do an FOTD for you so you can see how it looks on my skin. Maybe it’s just a personal taste thing, but I don’t think that it would work well for lighter skin tones. The eyeshadow Iridescent Gold is gorgeous. In the pot it looks like an ivory shade with golden tones, but it turns into completely gold, and is beautiful. However, while it may suit any skin tone used as eyeshadow, I think that it would not work great for more pale skin tones if used as a highlighter, which is the main reason why I bought it. I also like that it does not look too sparkly, it is a wearable shimmer. So there you have my first impressions, but as always, I will continue to use the products and give you more in depth reviews later. I hope all is well, talk soon! Have a great week.